After receiving good GCSEs from school, I decided to go down the apprenticeship route. I knew from learning about web development in my spare time that I wanted a career in Software Engineering. I started searching online and eventually found a company who were willing to take on an untrained 16 year old as an apprentice. I had an interview with the company and I was offered a position straight away! This apprenticeship widened my knowledge and cemented the fact that I wanted to be a software engineer. After completing a year and a half apprenticeship, I chose to go to university and study software engineering at degree level. I applied to my local university, Sheffield Hallam, went through the interview process and was offered a place to study BEng Software Engineering. After being at university a few months I started to realise that all of the material I was being taught I already knew, or it seemed I’d never use it again other than to pass a module. But, I carried on with the first year anyway and at the end of the year, I had passed. However, I couldn’t see myself doing this for the next 2 years so I decided that I needed to make a change and drop out of university to either go for a junior role or another higher apprenticeship. I decided that I was going to apply for an apprenticeship as this allowed me to earn a wage, learn on the job and receive experience from a training provider. Having finished my first year at Sheffield Hallam University, it was clear to me that university wasn’t the right path and that I much preferred to be learning while working. I quickly began searching for apprenticeships in Software Engineering online and looking through apprenticeship adverts. I started applying straight away and not long after, an apprenticeship training provider got in touch with me and accepted me onto their program. The training provider quickly got me interviews at different types of tech companies both small and large. My last interview was with Hive IT. I went into this one nervous as I didn’t have much of the experience that they asked for on their job advert but I was soon put to ease when talking to Jonny (Managing Director) and Dunc (Technical Director) about the role. This interview was the most laid back of the three and we just chatted about my past experiences and why I decided to leave university. I learnt about the company including what their ambitions are and the the types of projects I could be working on. Having left the interview with Hive I knew that I wanted to work here and, if offered a job, I would accept straight away. On the very same day, I got a phone call from the training provider informing me that I had been offered a job at Hive — I immediately accepted their offer! My first month was pretty laid back. I met all of the team and learnt about all their different job roles. I set up all my equipment and began to gain an insight into the type of work that was currently ongoing at Hive and the clients they had at the time. As the month progressed, I learnt about the internal tools Hive used such as Bitbucket, Jira, Fabmin etc and started to feel more relaxed in the office. Some of the other developers showed me what projects they were working on and told me about the tools they were using. It became apparent that the majority of the development team were skilled in Java so I decided to learn the language and it’s related tools. Overall, my first month at Hive consisted of understanding the inner workings of the company as well as learning as much as possible from the others around me. This enabled me to start easing into project work. Having been at Hive around 1 year and 8 months, I have had the opportunity to work on some really cool and fun projects. The biggest project that I have worked on is the Innovation Funding Service. This project was a huge Java based web application allowing businesses to apply for funding for their innovative idea. I learnt a huge amount from the other developers on the project that I wouldn’t have learnt while studying or self-learning. I’ve also had the opportunity to work on smaller websites such as a local private girls school. This project was a C# CMS where I was tasked with making changes to the website that the client requested. This was one of my first projects at Hive, allowing me the opportunity to learn a lot about how CMSs work and how to work alongside other developers on a project. Each project I have worked on I have learnt something new, from coding standards to security implications. I feel really privileged to have worked on a variety of different projects as well as working alongside and learning from talented individuals. To finish my apprenticeship, I had to complete lots of courses set by the training provider, complete exams, have interviews and complete a project set by the British Computer Society, all while working full time. Having done all of the above for the last 1 year and 8 months, I am very happy to say that I successfully completed my apprenticeship and gained my Level 4 Diploma in Software Engineering. Also, to make all of the effort even sweeter, Hive had offered me a job as a Junior Developer which was one of my main goals while completing my apprenticeship! Having joined Hive IT in June 2017 as an apprentice, I’ve had the chance to work on some amazing projects and got to work with some really talented people whom I have learned lots off and I am incredibly lucky to be able to work here as a junior for the foreseeable future! My advice to younger people (school leavers to people in university) would be to give apprenticeships more consideration. Not only do you learn from experienced professionals, you also earn a wage and gain experience that others who go down the traditional academic route won’t often get at your age. 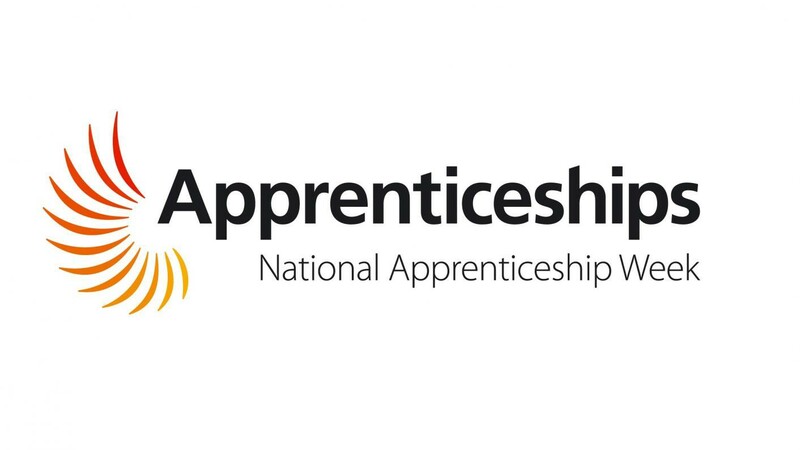 Apprenticeships are becoming a lot more popular and the government is spending lots of money on creating more apprenticeships for young people, so please do go and check them out for yourself!